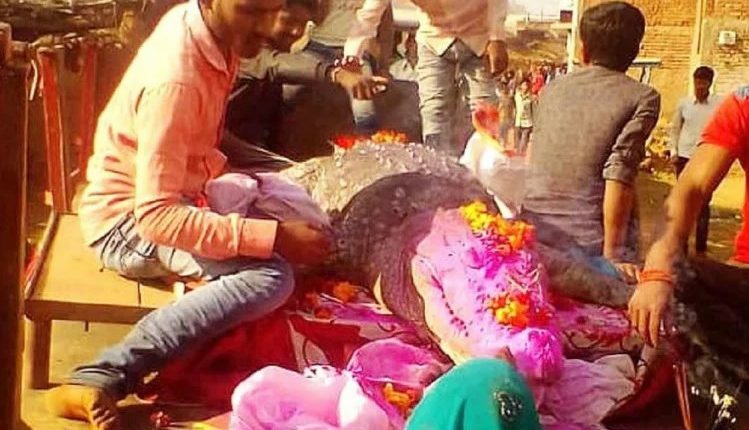 Raipur: The residents of Bawa Mohtara village in Bemetara district, Chhattisgarh, bade a tearful farewell to a 130-year-old crocodile on Tuesday. 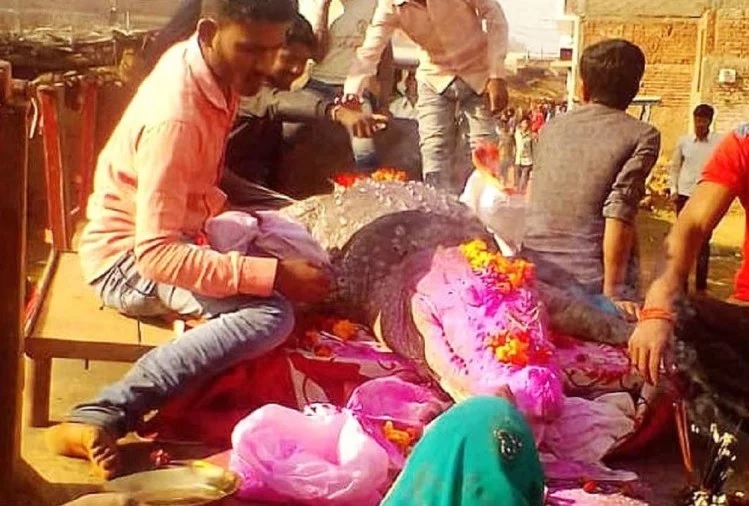 Named by the villagers as ‘Gangaram’, the reptile was given a proper funeral. About 500 villagers took out the funeral procession and performed the last rites. It has been learnt that the villagers even did not cook food on the day out of grief. According to the villagers, Gangaram never harmed anyone. Both, the reptile and the villagers used to share the same pond. The crocodile’s food was the small fishes of the pond where it lived. The 3.4 metre-long crocodile was found dead on Tuesday in the village pond after which locals informed the local forest department. It is believed that the reptile was 130 year old when died. However, there is no strong evidence about the truthfulness of its age. The villagers used to take bath in the pond and fetch water for various purposes, but the beast never attacked any human, says the report. And in return, they worshipped the reptile as their protector. “In the past, the crocodile had crawled over to some nearby villages a couple of times and we had to bring it back to the pond,” the village sarpanch told news agency PTI. As per reports, the villagers have decided to set up a memorial on the pond’s bank where Gangaram has been buried.